This is webOS client for Geocaching. Browse nearby caches, view cache details, logs, images, navigate to them. 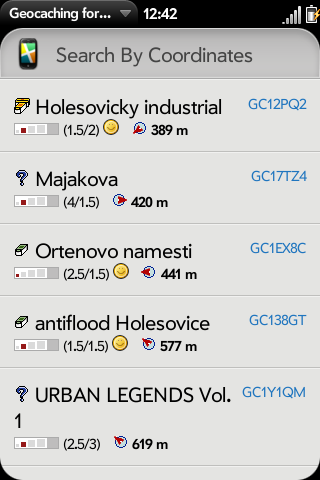 Also have plugin to work with Geocaching.com and Go4Cache.com sharing service. Also available in Palm's App Catalog.